A big-city pizza joint…right here, in Parker, South Dakota! 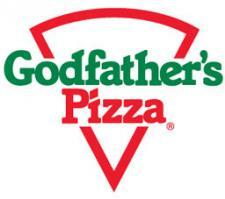 Godfather’s Pizza is open 7 days per week and features all of your favorites on their famous golden crust. Try their popular All Meat Combo, Veggie Pie, Bacon Cheezeburger Pizza or even their famous Taco Pie. We also feature breakfast pizzas, monkey bread, breadsticks, seasoned potato wedges, and chicken wings and tenders. Call ahead at 605-297-2297 and we’ll have your order ready for pick up or to check out our daily and weekly specials. Pizza Pie…Piled High…at Godfather’s Pizza!